This book presents the reader with a fresh and unconventional approach to teaching crystallographic symmetry. 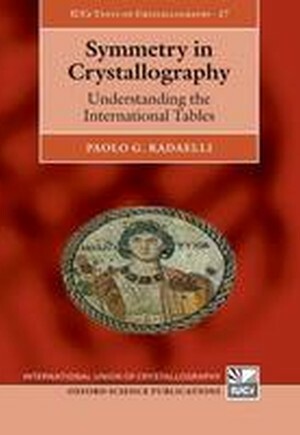 Whereas traditional crystallography textbooks make a heavy use of algebra and rapidly become very technical, this book adopts in the first few chapters a 'pictorial' approach based on the symmetry diagrams of the International Tables for Crystallography. Readers are led step-by-step through simple 'frieze' and 'wallpaper' patterns, with many examples from the visual arts. At the end of chapter 3 they should be able to identify and analyse all these simple symmetries and apply to them the nomenclature and symbols of the International Tables. Mathematical formalism is introduced later on in the book, and by that time the reader will have gained a solid intuitive grasp of the subject matter. This book will provide graduate students, advanced undergraduate students and practitioners in physics, chemistry, earth sciences and structural biology with a solid foundation to master the International Tables of Crystallography, and to understand the relevant literature.